Rockman Corner: It's Rockman Corner's 10th Anniversary! It's Rockman Corner's 10th Anniversary! My, how time flies. On this day ten years ago, Rockman Corner launched. I was 18-years old at the time – a senior in high school with no idea what I wanted to do with my life. Today I'm an elementary school teacher. It's my fifth year working with the little ones (never a dull day) and somehow, between it all, I've managed to sustain my little slice of the internet. I'm very much in awe. I opened this place up as a hobby. I was the "news guy" for a little while over at Rockman Synergy. That site folded in 2008 and, knowing nothing about creating a site from scratch, I signed up for Blogger and set up shop here. My audience was small at first. I fondly remember the crushing feeling I felt when I realized my 1,000-something visitor milestone was not based on unique readers. That wasn't very fun. On the flip side, my first actual millionth hit was nearly gave me an amanuensis. These days I don't care much for metrics. It's only a number. But looking back, this was pretty darn unimaginable. I've long maintained that Rockman Corner has been a one-man operation. However, that simply isn't true. You, dear reader, have contributed so much. The news submissions I've received – tips, fan projects, artwork and cool/obscure Mega Man artifacts of the past – helped make this place what it is. It is because of you that I've had someone to share this hobby with. And it's because of you that I've found myself working on official Mega Man projects with some really cool, talented people. That's something I could only dream of ten years ago. You, dear reader, have my sincere thanks. From Mega Man 11 to the next crazy piece of licensed merchandise, I am very excited to continue my work on Rockman Corner this year. However, I've made peace with the fact that the times are changing. My free time is not what it was ten, even two years ago. I mean really; most of my daytime posts are done on lunch break or when the kiddos are at P.E class. It's still fun and I enjoy it, but I realize my routine and responsibilities are changing. And I'm okay with that. So in light of this, I will be looking to form a small staff in the near future. Your contributions would go beyond sentiment; you'd help me run this place. 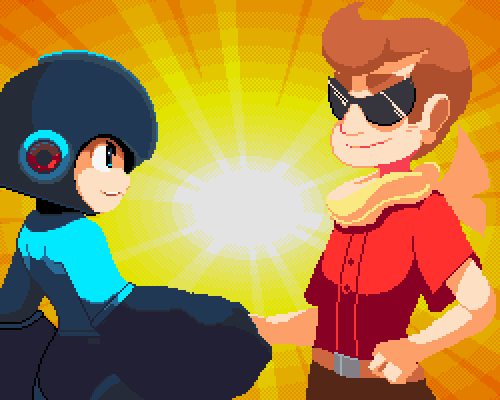 It's an unpaid gig (of course), so you'd be doing it strictly as a Mega Man fan. You might even get the chance to work on some official projects, like I did. I don't foresee this happening too soon but a staff beef-up is indeed coming (probably closer to Mega Man 11's launch). I'll update you all when the time comes. Until then, I'm here to stay. So thank you all, once more, for everything! You've made this dude really happy. Wow. I didn't know until now. So Happy 10th Anniversary,Protodude. Here's to 10 more years of giving us Mega News. Protodude's Rockman Corner: The #1 Name in Mega Man News! Congrats and Happy Anniversary! I still remember stumbling upon this corner back in March on 2008. I've stuck around since, even during the domain name fiasco where it rolled over from Protodudes to Rockman-Corner. This place has always been my go to for Megaman news and has always made me smile when I feel all hope for Megaman was lost during the dark times since the cancellation of Legends 3 and the subsequent fallout. I've still been far to lazy to register all these years... I really ought to change that one of these days. 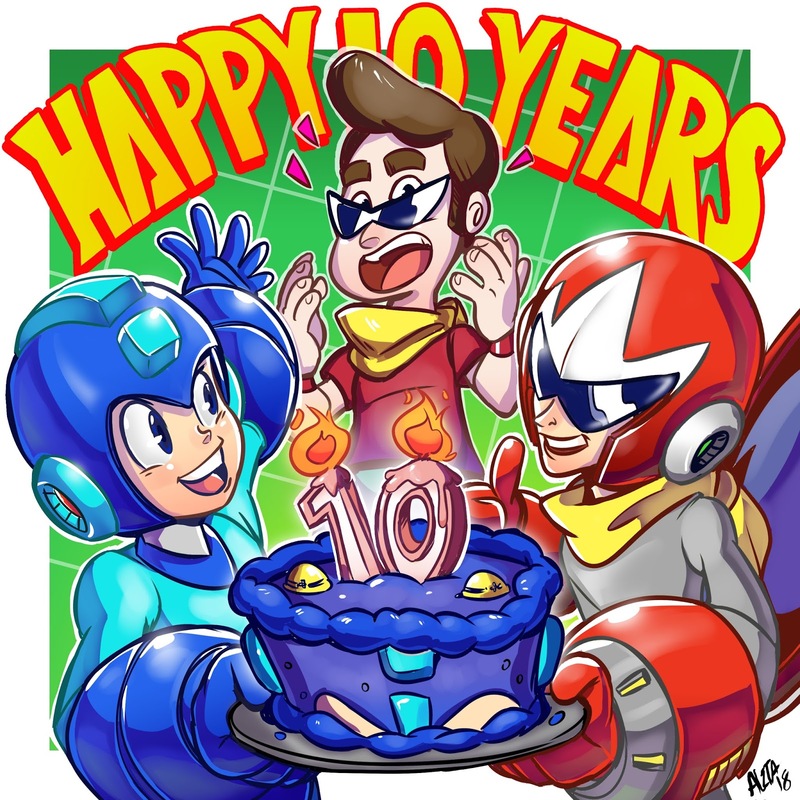 Here's to another 10 years and to hopefully at least 5 more Megaman games, good ones at that! I will be first to say: Congratulations and thanks for everything you have done for us. Keep up the good work, rockman-corner! Happy birthday, Rockman Corner! 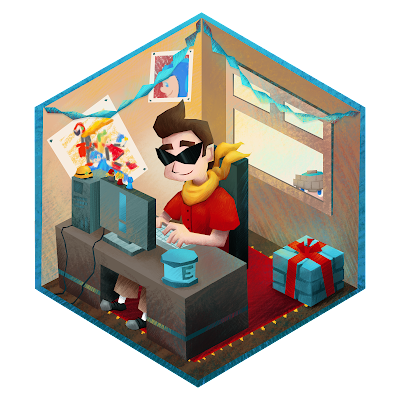 As for you, Protodude, thanks a lot for sharing this wonderful place with all of us until now! You are a legend Protodude. I hope to see this site continue for another 10 years. I'll still read it! I have got to say, Thank you. I very much appreciate all the work you've done for us fans. I'm 40 and have been a fan since the day Mega Man 2 came out and I rented it at my local video store. You are fantastic at giving me and all of us our news about our favorite blue hero in a very timely fashion. I wish I could help, but I've got a full time job and my second job is similar to this, but it's writing for the largest horror magazine company today. I just can't think you enough, but know that here is where I go to for anything Mega Man. Hey, Protodude! I don't have a really have a big thank you speech to say. Just anonymous mega man fan here to cheer you on for the efforts that you have done for ten years. Here's to another ten years with many more mega man games and fan projects to come! On a side note R.I.P planet megaman I will never forget that as well. Happy Ten Years, ProtoDude. Congratulations for all your hard work. I think I've had this place bookmarked for about as long. Your site was one of (and still is) one of the first places I'd check for Megaman-related news. Rock Miyabi, I remember him. Haven't talked with him in years sense TMMN's forum died. Hiya! Even though the forum scene in our community has pretty much vanished, compared to the heights of a decade ago, I'm still around posting Megaman stuff on the Twitters and the Tumblrs, among other places. Congrats to ten years. Thanks for all the work you do. Wanted to join in and thank you for all your hard work. You've been my number one source for Mega Man news for years and I appreciate everything you and the many people that have submitted tips put in to deliver it. happy anniversary ! 10 years is aproximatively how long have passed since i discovered Mega Man, but i only discovered this site about 2 years ago (dang, did'nt realised it was already two years), and have been coming here regularly. Hope you can keep it up for a long more time. That seems kinda young for some reason. I mean Mega Man 9 is like 10 years old... And that game feels like one of the fresher Mega Man games. I can't believe it, i´m 28 and i'm an elementary school teacher too, i undertand the lack of time you're talking about, and thank you for all this years of your hard work. (i'm sorry if something is not well written, english is not my first language). I remember the time when a lot of games and merchandise was constantly coming and I spent so much time in this site, I still visit the site daily despite the game drought last years, but is really nice to see that this place didn't die like other sites, hope you can keep it up for a long time, Protodude! Awesome! Congratulations on 10 years and here's to many more! I remember being around the day the site launched. Since then it's been one of my go-to sites. I remember checking it multiple times a day for MegaMan news, and even after Legends' cancellation and the sudden silence popping in at least once a week to see if there was anything new. Lots of good memories from the site (The Shadow was one of the hypest teases in videogames). Thanks for all the memories and news, Protodude, looking forward to lots more! Happy 10th anniversary from everyone here at /mmg/!! Thank you for becoming the number 1 source for Mega Man related news! We really appreciate your hard work! I know this is belated, but happy 10th Anniversary! Things are starting to really look up here in general, and I hope you continue to keep us fans updated on Mega Man news for many years to come. Or, you know. However long you feel like. Been coming here every week for years now, happy 10th anniversary!